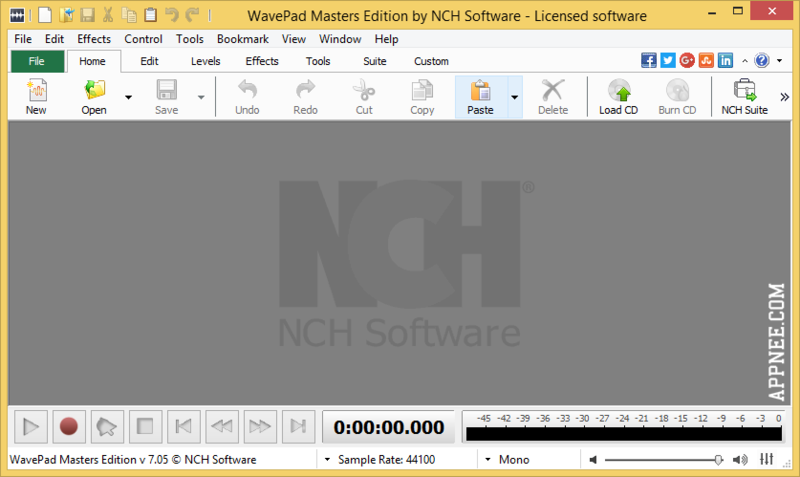 audio file | AppNee Freeware Group. All relevant information of a audio/video file is stored in the file’s header area, including duration, codec id, aspect, frame rate, bit rate, sample rate, channels, bit depth, language, etc. MediaInfo can obtain and utilize these info from the header of a media file with ease, which is very helpful for media software developers. 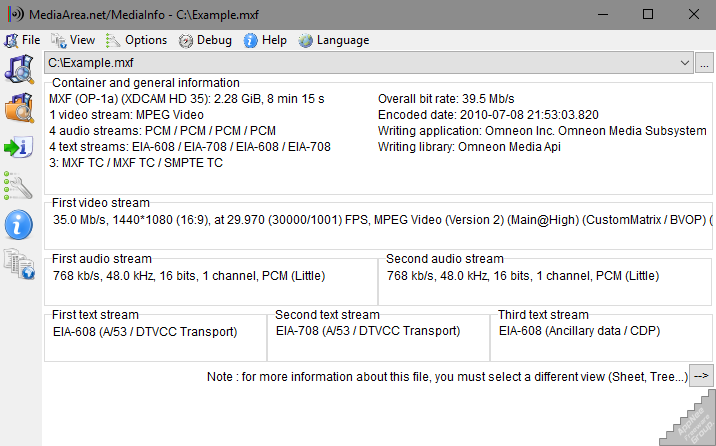 If you just want to know the codec info of some movie or music file that could not be recognized or played correctly, you can use MediaInfo to check its technical & tag data. 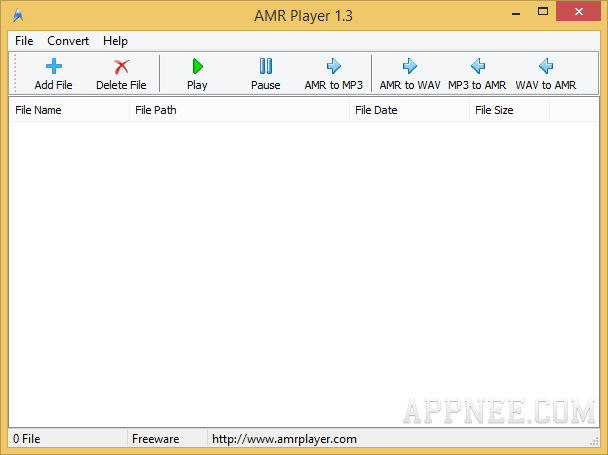 AMR (Adaptive Multi-Rate) is the most widely used, compact voice standard in the mobile communication systems (its audio file size per second can be controlled at about 1KB). It was known as the most common saving format for mobile phone audio recording (including old-fashioned ringtone formats) and widely recognized by each big mobile phone manufacturer. At the same time, it is also the only audio format that implemented loading vocals in the MMS. 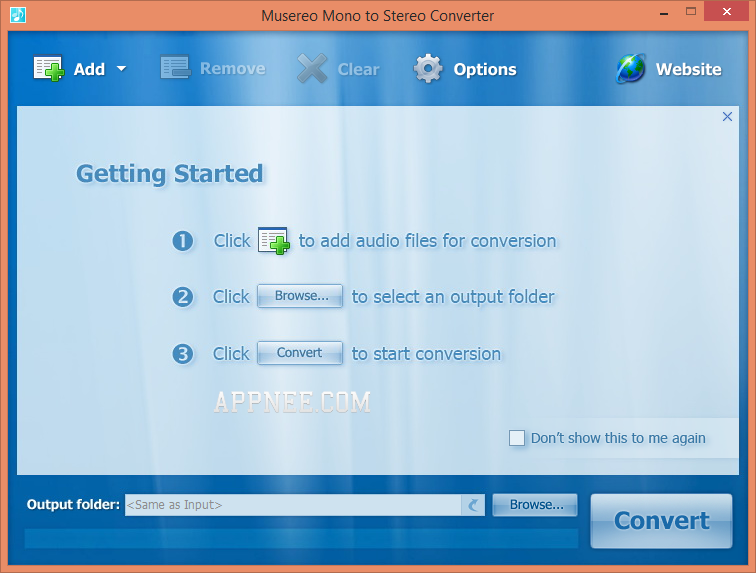 Musereo Mono to Stereo Converter is a handy and user-friendly mono-to-stereo batch converter for digital audio in MP3/WMA/WAV formats. It’s specially designed for headset fans to bring new life to their old but classic records. 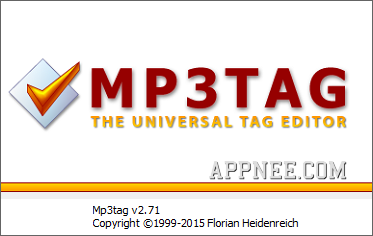 Mp3tag is a lightweight, universal (supports 15+ audio formats) audio file ID3-Tag info editor. 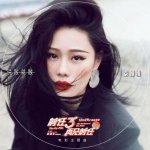 It’s specially designed to help user to fast edit all ID3 info in music file in batch, including title, artist, album, year, genre, composer, cover, etc., which is convenient for user to identify and manage music files.